A filler from a few weeks ago as the rain is once again inundating us. At this rate I'll be able to not only flush my toilet, but maybe even water the lawn and wash the car! I like the flock of pelicans soaring above the waves. Much prettier than what I saw when I looked out my window today! This constant rain is making me crazy! Love the light on the shore! Love the image Ron. Have fun with all that water. This is marvelous. 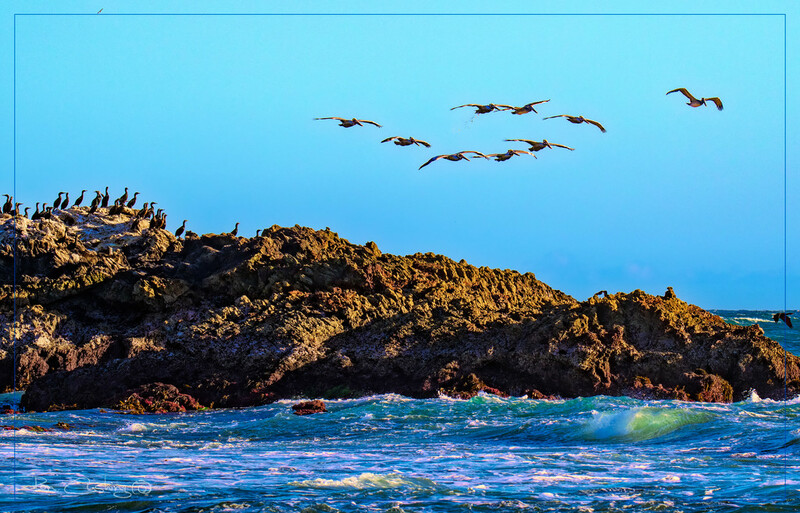 It looks like the pelicans are performing for all their friends who are standing on the rocks.